It was a joy working with Lionel and Michelle who celebrated their wedding solemnization recently. Their Oriental Knots invitation cards comes complete with invitation wordings that potray their combination of cheekiness and seriousness in character. 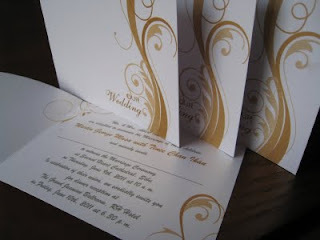 Their guests have no idea, that upon receiving this exquisite East meet West themed wedding invitation card, they will be tickled by the contents inside the card! Our bride wanted her wedding invitation to have a similar size to Dainty Daisy without all the sweetness of the ribbon and flower rhinestone. We came out with something that is very close to her heart, a unique tribal swirl that have some resemblance to her culture and ethnicity. Even the colour was very neutral. 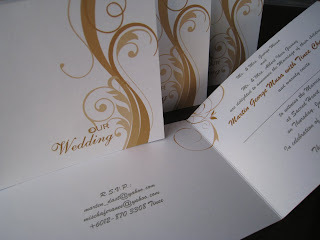 We incorporated the design on the front as well as the inside of the card. This collection of bright and sunny handmade birthday card will certainly bring cheer to the birthday girl/boy. 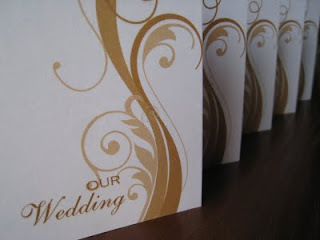 We adorned the corner of the card with a variety of flowers, while keeping the rest of the card really simple. A tag with 'Happy Birthday' is hand-stamped on a mulberry paper and tied with a woolen string. Our popular Dainty Daisy card indeed has many variations, and this is another one of it. Our lovely bride preferred something less girly, and wanted something more sophisticated and elegant. Initially she wanted to omit the ribbon bow from the dainty daisy card. 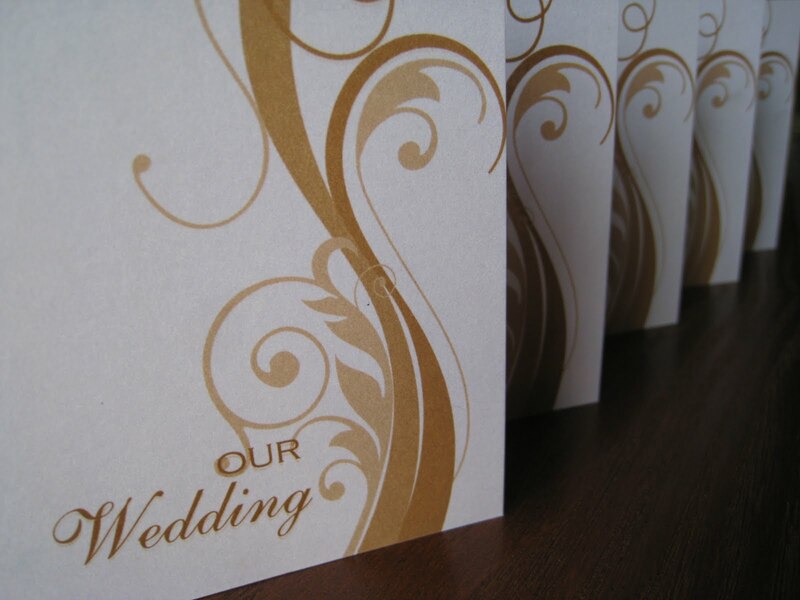 So we suggested using a light coloured textured pearlescent card, to give the card more depth. However, something was still not right, and we suggested a change of colour instead. The effect gave the card a whole new feel. With a rich chocolate brown pearlescent card as the base, the luxurious light ivory satin ribbon bow doesn't look so girly anymore. Our lovely bride was indeed pleased.